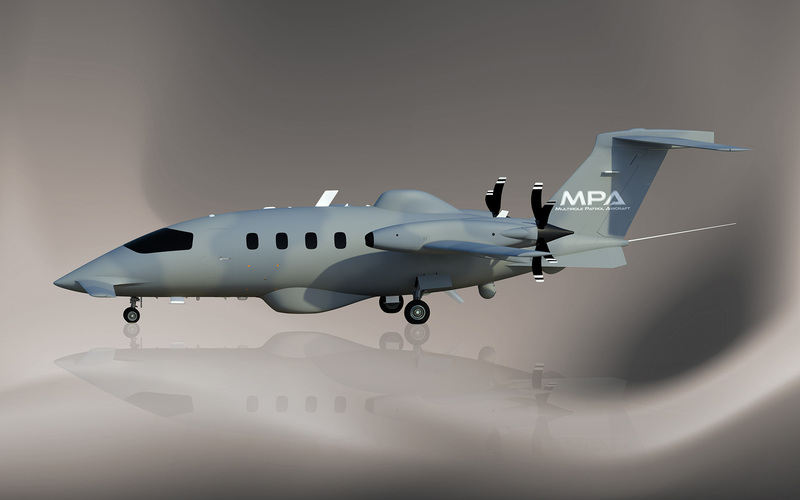 The Piaggio Aerospace MPA – Multirole Patrol Aircraft – is a technologically advanced, efficient and competitive Special Mission, Multi-Role, Enforcement light twin turboprop aircraft designed to meet the requirement for security and enforcement missions in peacekeeping operations to real combat scenarios with the advanced performance and best in class operational characteristics, comparable to those required by the most demanding operators in this category. 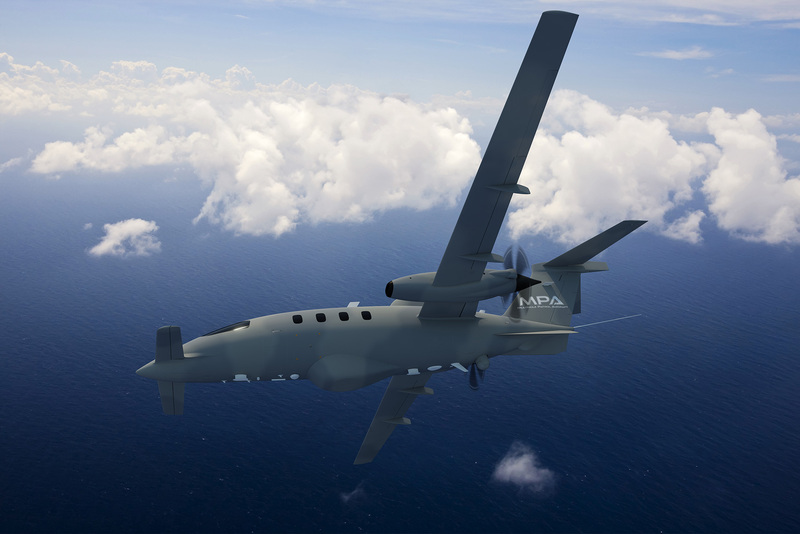 Piaggio Aerospace is developing the Multirole Patrol Aircraft - MPA in partnership with ADASI - Abu Dhabi Autonomous System Investments, a subsidiary of Tawazun - the company that manages many complex programs for the UAE Armed Forces and that is forming joint ventures with a number of internationally recognized companies. The MPA is designed to be a flexible platform able to provide different intelligence roles and to be customized with a variety of mission specific sensors and management features to provide Surveillance/ Reconnaissance, Exclusive Economic Zone patrol and Search and Rescue duties with an unmatched combination of endurance, range of operative speeds, high climb gradient and operative ceilings, wide and comfortable operative environment for Maritime Patrol, Ground Surveillance, Tactical ISR, ELINT/COMINT. provide a drastically reduced footprint while delivering extraordinary operative efficiency. The large, stand up cabin allows installation of a wide range of mission-consoles for flexible operation and special missions work; thanks to the rearward pusher propeller configuration the cabin has the lowest internal noise and vibration level of this aircraft category. The Crew are comfortably located in a stand up operative area with two consoles, one rest seat, a galley and a stand up toilet. With a differential pressure of just 9 psi the cabin has a very low equivalent altitude, that provides the most comfortable working environment for pilots and operators, ensuring the lowest fatigue and maximum efficiency of operation for this class. The Piaggio Aerospace Multirole Patrol Aircraft represents the evolution of the Piaggio Aerospace P.180 Avanti II aircraft tested and certified for passenger transportation and proven over more than 20 years of uneventful service and 800.000 flight hours with its patented Three-Lifting-Surface Configuration (3LSC) and high aspect ratio laminar wings. The modified aerodynamic configuration designed for special mission applications, underwent extensive low speed/high speed wind tunnel testing in the world’s leading facilities to validate design and performance and during testing demonstrated an outstanding 30% reduction of required power in comparison to its nearest competitor. 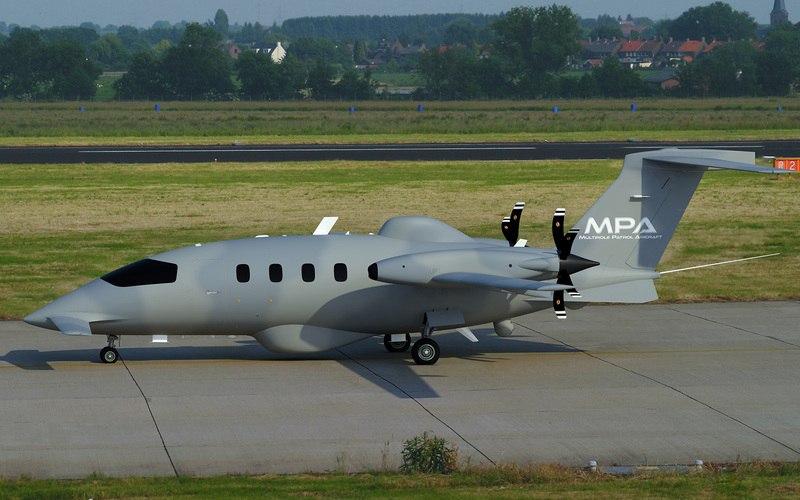 The Piaggio Aerospace MPA is a new multi-role aircraft conceived to be missionized for many different roles: Maritime Patrol, Ground Surveillance, Tactical ISR and COMINT missions. 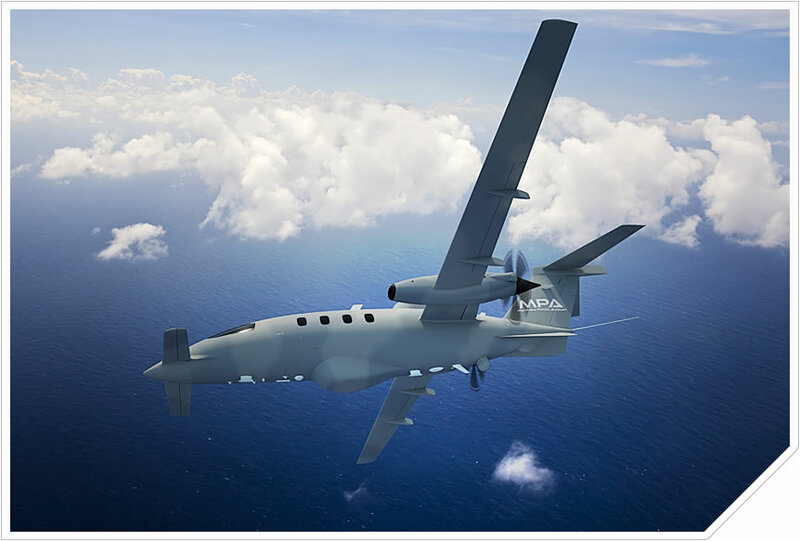 Aimed at being the most effective Special Mission light turboprop aircraft on the market, Piaggio Aerospace selected the defence and security company SAAB as the MPA systems supplier. 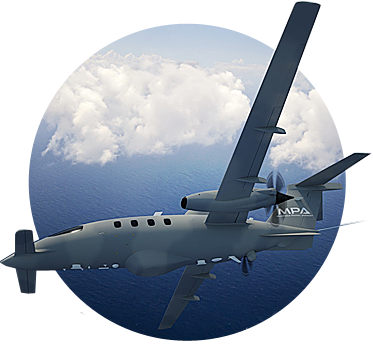 Piaggio Aerospace and SAAB are integrating the MPA with a full suite of sophisticated airborne sensors and surveillance systems and the advanced Aquila Mission Management System (MMS) will be integrated on the MPA. Therefore, a high performance Search Radar and EO/IR sensor suite will be integrated into the MMS to conduct a wide variety of missions, making the MPA one of the most functional and advanced aircraft available of its type. The radar antennae and pedestal are mounted in the belly to provide a 360°unimpaired view, with an installation that does not protrude into the pressure vessel and is provided with highly reliable 28VDC energy supply for maximum mission performance. The MPA open architecture Mission System offers inherent mission flexibility, while the extensive use of COTS components guarantee a state-of-the-art human/machine interface, graphics capability and computer throughput performance. The Aquila MMS integrates tactical sensors and data links providing the Operators with total situational awareness fusing data from Mission Sensors and also providing information through the best in class, advanced man-machine interface. Two operator stations are equipped with multifunction consoles with integrated display and control units to monitor and control the sensors and collect, analyze, fuse, record and distribute all available data, thereby significantly reducing, dedicated control panels and monitors to maximize flexibility and crew task allocations while having a direct integration into the aircraft avionics for best mission management and integration of pilot and operators activity. MPA integrates an advanced Communication system, with wideband LOS Datalink and a flexible yet, powerful Ku/Ka BLOS SATCOM system. The comms system may be enhanced and integrated with Link11/16, and IFF Interrogator. Optionally, and highly recommended, MPA may also be installed with a Self-Protection System (SPS) to protect valuable assets. 2 SAAB removable, tactical operator stations equipped with multifunction, integrated display control units. 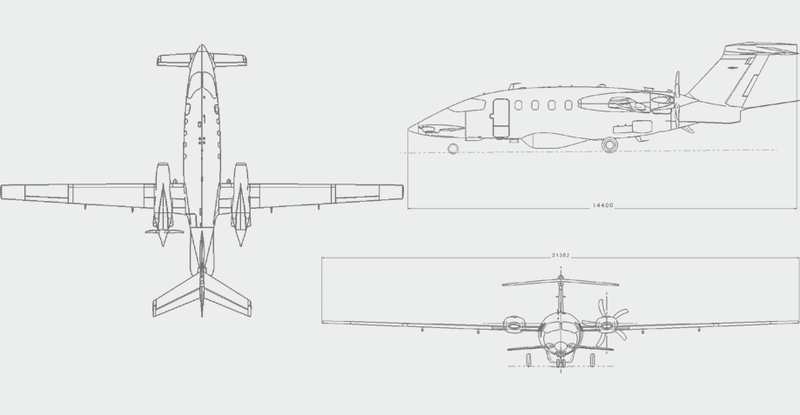 Twin turboprop, all weather, proven system architecture and technologies. Full stand up cabin, with lowest noise & vibration level and cabin relative pressure altitude for best in class crew comfort. Loiter capability at 125KTAS in less than 1 turn radius.